What shares are and how they are bought and sold; why share prices go up and down; why some companies' shares look cheap while others appear to be expensive; and, the hidden traps for the unwary. This title sets out to create a level playing field between the stock market professionals and the small investor. 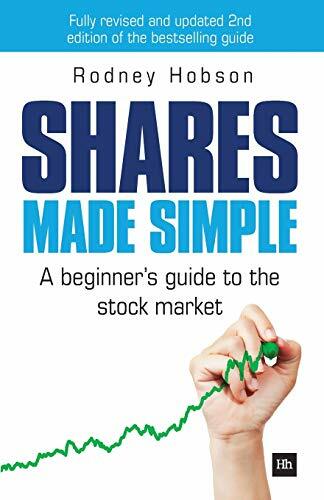 "Shares Made Simple", written by highly respected financial journalist Rodney Hobson, tears away the mystique and jargon that surrounds the stock market. It takes you step by step through the most basic concepts of stock market investing, carefully explaining issues such as: what shares are and how they are bought and sold; why share prices go up and down; why some companies' shares look cheap while others appear to be expensive; and, the hidden traps for the unwary. This fully revised and updated second edition of this bestselling book sets out to create a level playing field between the stock market professionals and the small investor. As rising living standards and inherited cash provide assets for investment, no-one needs to suffer pitiful bank interest rates when there is real money to be made in sharing the nation's wealth. Thousands of investors have already benefited from Rodney's clear explanation of the stock market - now you can too.